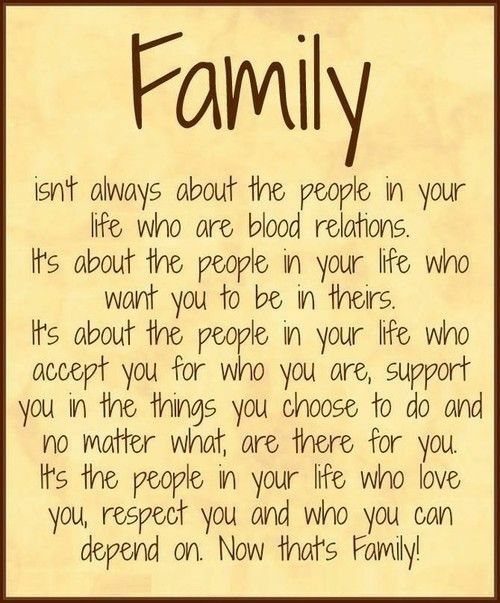 Everyone benefits from purposeful intergenerational relationships. The gathering of family and friends to share a meal at Thanksgiving traditionally involves multiple generations. What better time to share activities that nurture connections among different age groups? PlayopolisToys serves the citizens of play, children and adults who delight in entertaining themselves with engaging activities. That’s what play is. Younger and older citizens having fun together form bonds that enrich everyone involved. Opportunities abound. Take a walk, share stories, read a favorite book aloud, create something, play a board game, preferably a non-competitive one, or go on a treasure hunt while sitting together on the sofa. Cooperative games require players to work together toward a common goal. By putting aside competition and working cooperatively, non-readers and readers, preschoolers and high schoolers, parents and grandparents can play a game and everyone come away with positive feelings. Team work leads everyone to success, and no one leaves the game gloating or feeling like a loser. Ever thought about hiding bugs under a rug before stink bugs show up and stink up the place? That’s the challenges players face with Snug As A Bug in A Rug. One of more than two dozen fun-for-all-to-play cooperative games by Peaceable Kingdom. With three levels of play, these skills-building games grow as players become more proficient. Create a team to solve these problems. Two players will do, but there’s room for more. Designed to be played in 15 minutes, these games offer a quick solution to the challenge of keeping the peace before and after Thanksgiving dinner. Find It games, theme-based treasure hunts in a cylinder, invite intergenerational searches and both cooperative and competitive ways to play. Think of a day At the Beach, Wildlife, Dinosaurs, Mythical Creatures, or anything that elicits the comment Eww Gross. For those who thrive on challenges, Mythical Creatures is the ultimate Find It for intergenerational play. After all, two heads are better than one, and the more heads, the merrier the conversation. Mythical Creatures requires knowledge of folk tales and supernatural beings from around the world. Keep a dictionary or Wikipedia handy while going down the list. Otherwise, when you see the word hippocampus, you might think of the region of our brain thought responsible for emotions and memory, and although that’s true, you’d be missing a chance to identify one of the fish-tailed horses of Greek Mythology. The beauty of Mythical Creatures is the chance to find out who’s who and what’s what, then check each off the list. While concentrating on finding out about the Jersey Devil, a kraken, or a troll or taking note of the similarities and differences between a hippocampus and a manticore, you’re happily learning, making memories and nurturing relationships. Find It Where’s Waldo? challenges players to put away their magnifying glasses and shake and turn the cylinder in search of all objects Waldo. You’ll be looking for the 40 items listed on the top cap. Every object has an assigned value, from one to six. Spotting Wenda’s camera earns one point, Woof’s bone two, and Woof three. Waldo’s hat or Whitebeard’s scroll adds four, a snowman five, and the messenger bag or Waldo’s key six. With multiple ways to play, Where’s Waldo? keeps you alert and sharp eyed. English illustrator Martin Handford published Where’s Waldo? in 1987, making this a walk down memory lane for the parents and grandparents of new generation. Something old is new again and inviting intergenerational play. What’s the attention span of a goldfish? What’s yours? According to a Microsoft study, a goldfish averages nine seconds, one second longer than the average human. Not so long ago – at the turn of this century – the average human attention span was 12 seconds. Not long, but longer than a goldfish. Our waning ability to concentrate causes problems for children and adults alike. When we’re inattentive, our productivity suffers: tasks take longer, we make more mistakes, become frustrated and stressed out. What are we to do? Play more. While engaged in play we naturally pay attention. We’re concentrating on an activity that gives us pleasure. We’re in the present, oblivious to time, not easily distracted. Relaxed and confident, we’re apt to take glitches in stride, assess the situation, and apply our creativity to finding solutions. Play is recreation, an activity we choose to do for the pleasure we derive from doing it. Play relieves stress, giving us a fresh perspective and renewed focus. Play is essential for everyone, at every age. Playing games is a traditional pastime adults and children can enjoy together. 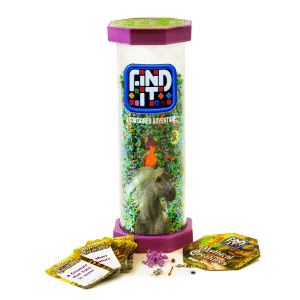 Find It, a series of thematic games designed for players six years old and up, requires players to search for objects hidden among plastic pellets in a cylinder. These intergenerational “contained adventures” both require and reward concentration and focus. The top cap of each game lists the objects hidden in the cylinder. An enclosed guide assigns a point value to each object: one point for the easiest to find and 20 for the often elusive penny hidden inside every Find It. A pack of double-sided playing cards expands play possibilities for two or more players. Finding objects is the aim of the game, whether played alone or with others, cooperatively or competitively. Consider Mythical Creatures with 40 hidden objects. What better way for a child to learn about folk tales and supernatural beings from around the world than with a favorite adult who might know what’s what? Some objects will be familiar, but expect to be baffled and have to search for answers. Otherwise, when you see the word hippocampus, you might think of the region of our brain thought responsible for emotions and memory. That’s true, but you’re looking for a fish-tailed horse from Greek Mythology. The fun is in finding out who’s who and what’s what. While concentrating on finding out about the Jersey Devil, a kraken, or a troll or taking note of the similarities and differences between a hippocampus and a manticore, you’ll feel more relaxed. Play is essential. We learn while playing. Play more. Stress less. Pay attention. Concentrate. Focus. Thrive.